CTV Communications, LLC develops and implements advertising and marketing campaigns designed to inform, inspire and influence people to action. Clients include; Thomas, Means, Gillis and Seay, P.C., Northview Christian Church, Hart Ramsey Ministries, Auburn University, Tuskegee University, Trenholm State Technical College, Alabama State University, Virginia College, Family Guidance Center, 100 Black Men of America, Inc., Texas Roadhouse, Family Guidance Center, Classic Cadillac, D’livro Beauchamp, M.D., Tuskegee Airmen, Inc., Cochran, Cherry, Givens and Smith, P.C., Alabama Department of Transportation/Disadvantaged Business Enterprises, The City of St. Jude, Susan L. Taylor – Mentoring Cares and the Montgomery Area Chamber of Commerce. 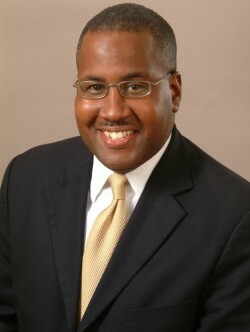 Cedric is the recipient of the first Montgomery Area Chamber of Commerce Minority Business “Point of Light Award,” given to advocates for minority business development in 2005. He was recognized by the Alabama State University College of Business Administration with one of the first Dr. Percy J. Vaughn, Jr., Entrepreneurship Awards in 2008. Cedric received the Sales and Marketing Executives Award in 2000 and the National Advertising Award for Diversity Programs in 1998, 1999 and 2000 from the American Advertising Federation in Washington, D.C. In 2011, Cedric was recognized as Who’s Who in Black Alabama. Cedric serves on the: Editorial Board at WSFA-TV (NBC), Montgomery Area Chamber of Commerce Minority Business Task Force, Montgomery Area Chamber of Commerce CEO Roundtable, Alabama State University College of Business Administration Small Business Development Center Board, 100 Black Men of America Montgomery Board and Community Care Network Health Care Board of Directors. He is a U.S. Air Force Veteran, Troy University Alumnus and native of Montgomery, Alabama.